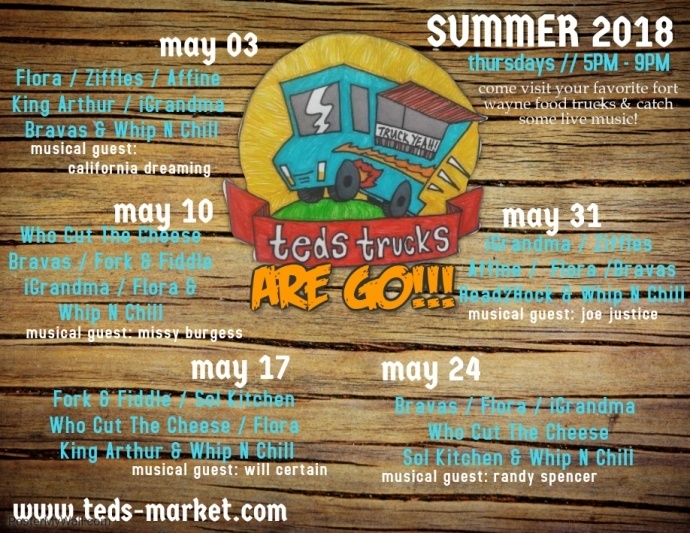 Every Thursday from May 3 to September 27, we will have 6-7 Food Trucks parked in our lot, serving dinner from 5p - 9p! We will also have live entertainment and other fun activities! Bring your family, bring your friends...ride your bikes! 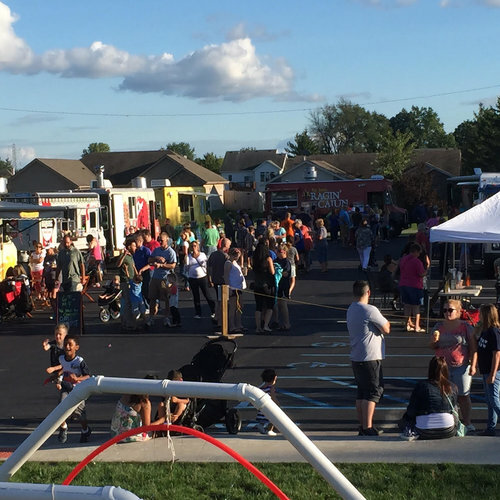 Each food truck is an independent business, offering various choices of food options. 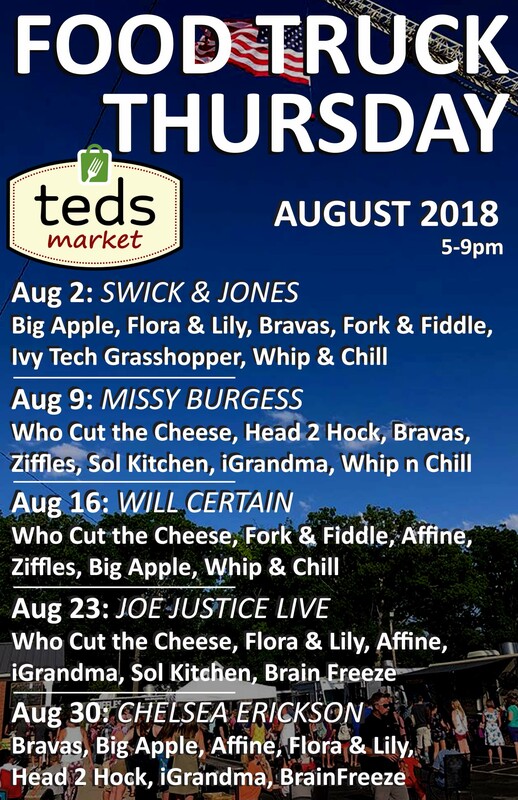 Other than bringing them together for this event, teds does not influence their menu. Most trucks have a facebook page where you can learn more information about their menu and food options. Out of respect for teds and the trucks participating, we ask that no outside food or drinks be brought in. We will have plenty of beverages available, from kid friendly to adult favorites. For those over 21, we offer 3 bars for Food Truck Thursdays, our Lawn Bar, Beer Hall, and Wine Bar. Each bar offers a unique selection of adult beverages For those under 21, we offer coke products, as well as Utopian Coffee and Harney & Sons Teas. PLEASE PLEASE PLEASE: To avoid potential tickets or conflict, we ask that you do not park along Laddie or Lassie Lanes past our property. We have made room for additional temporary parking along the north of our building, and in the gravel area to the north east. Please follow the parking attendants and police officers.